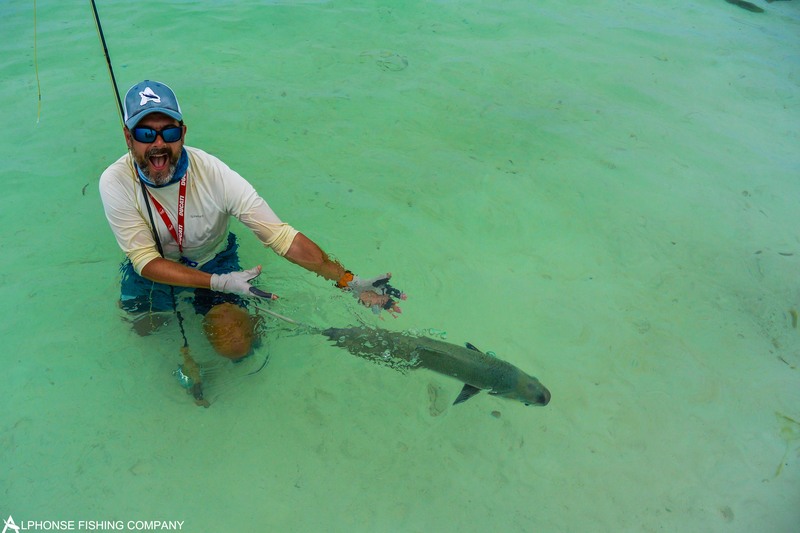 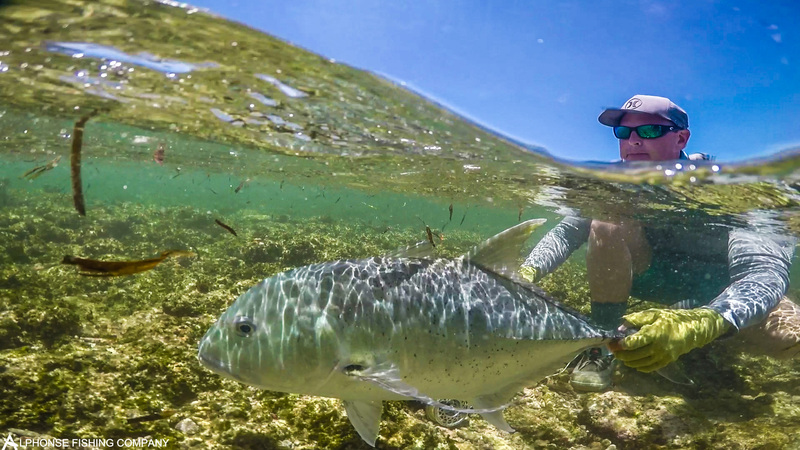 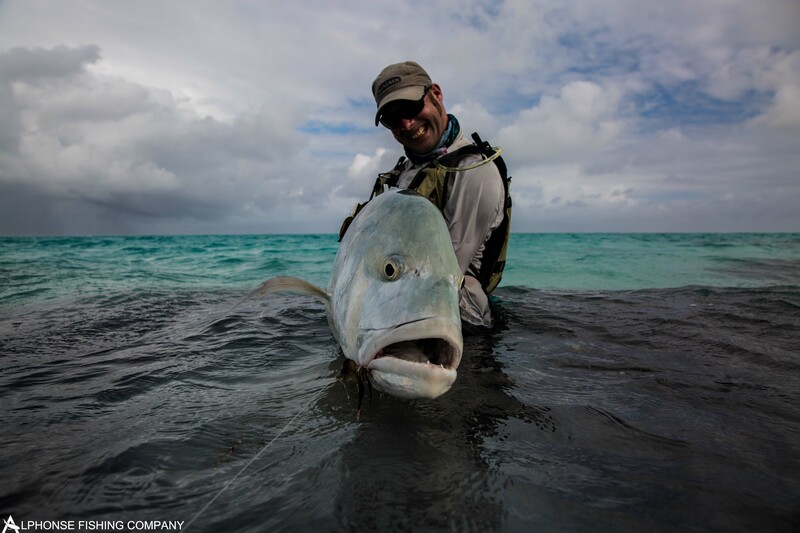 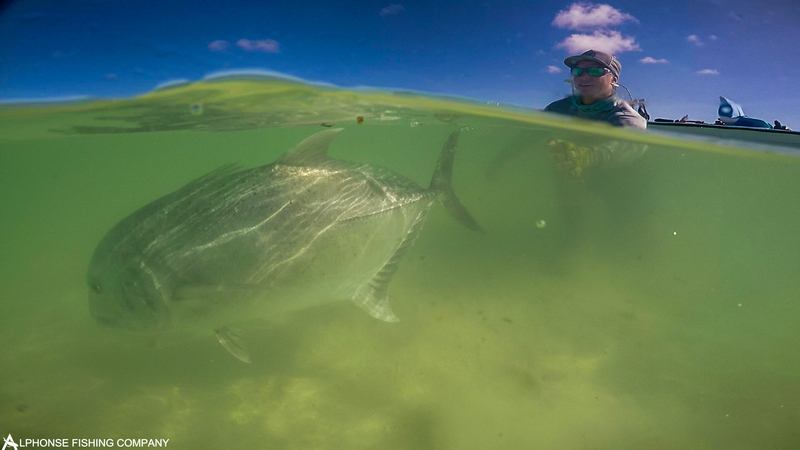 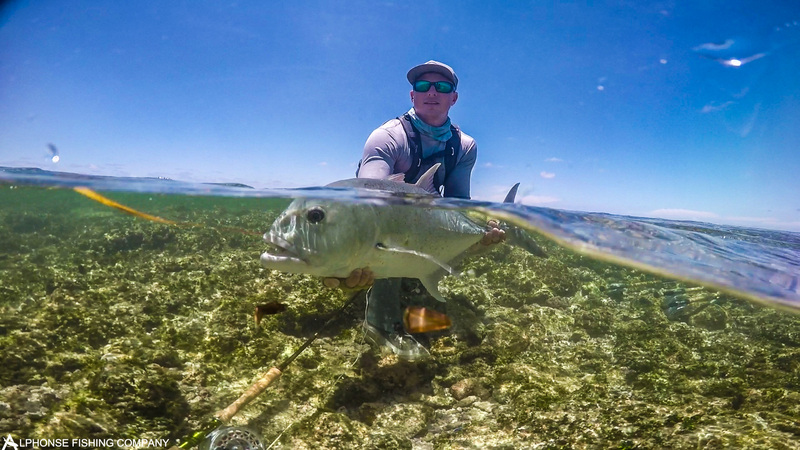 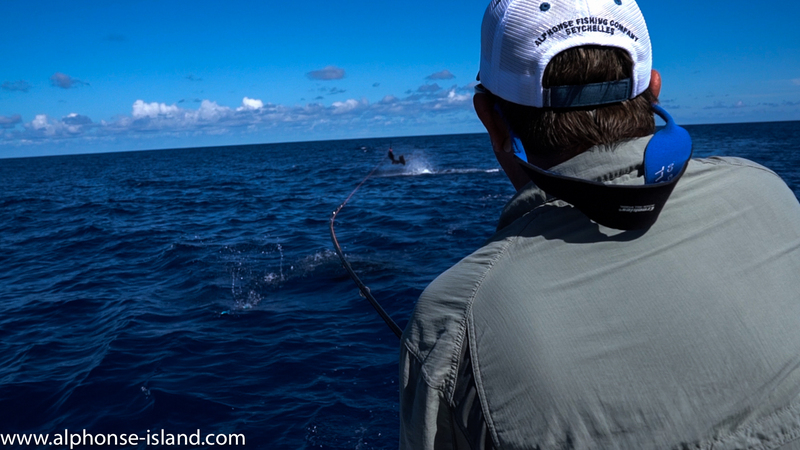 This week saw the tidal movement slowly shift from spring tides to neaps resulting in slower water movement, a type of tide is more conducive to fishing the inside of the lagoon, especially targeting the vast coral finger flats that span the width of the atoll. 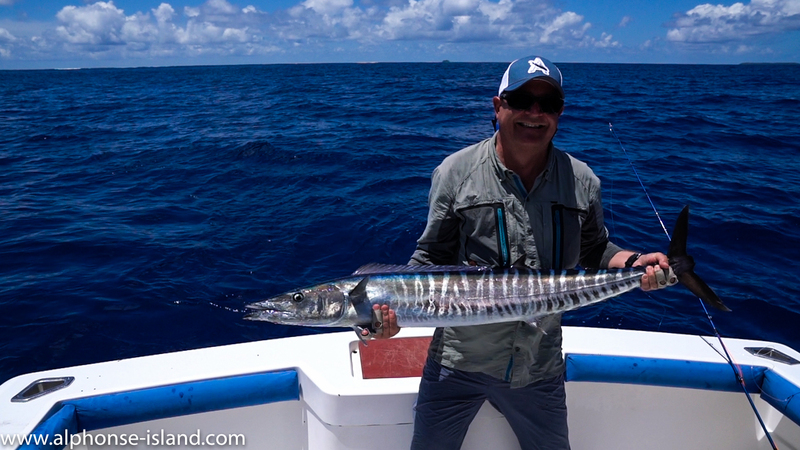 The weather did prove to be a nuisance early on in the week making the fishing slightly trickier than expected so a huge tip of the hat goes out to all of the guests for remaining positive and in good spirits despite the tougher conditions. 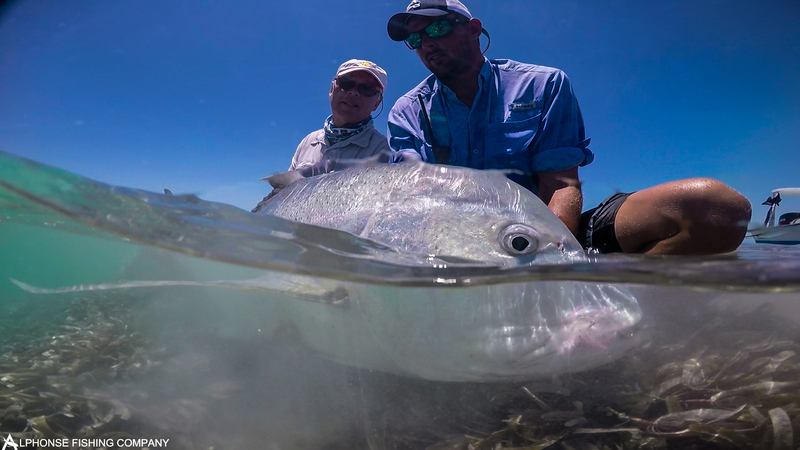 Despite the adverse weather conditions that slightly hindered visibility during the first part of the week, John Furniss and his boat partner Mark Home did not waste any time to get out of the starting blocks with a brace of 20+ bonefish on the first day. 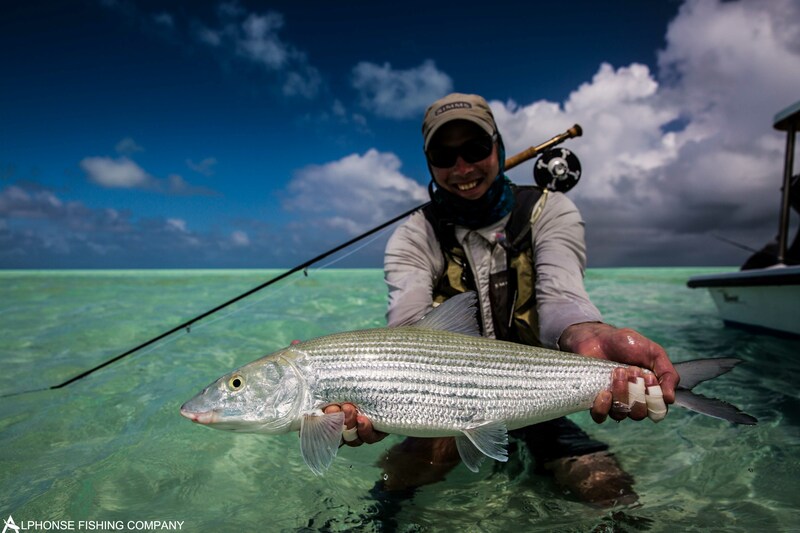 A special mention must go out to John who, as a complete novice saltwater fly fisherman, not only managed to join the prestigious 20+ club on the first day but also caught the biggest bonefish of the season so far on his very first cast! 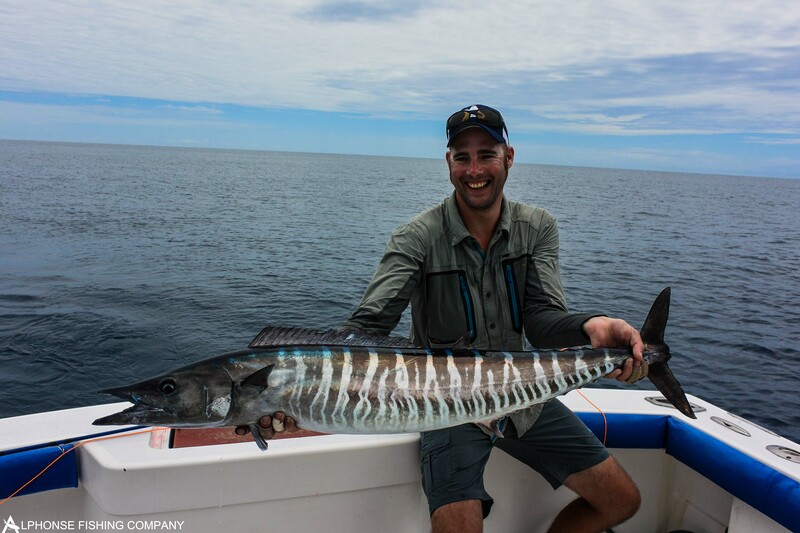 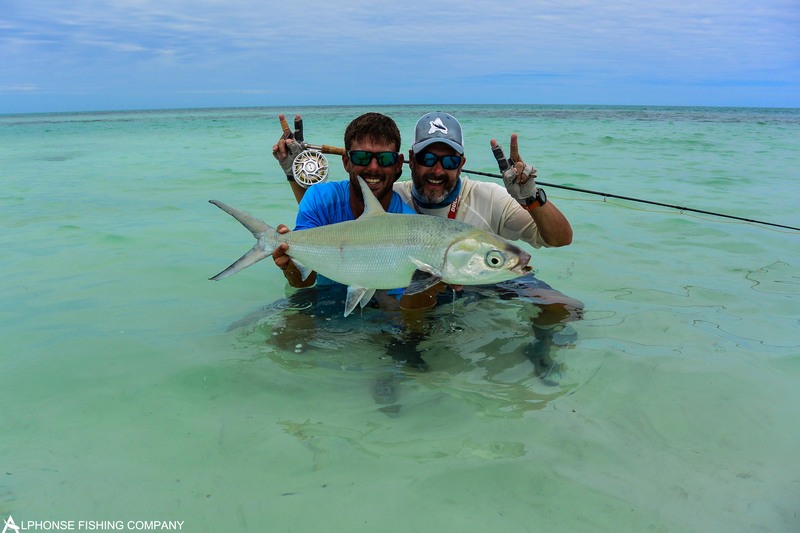 He later went on to put the cherry on the icing by landing his first ever yellowmargin triggerfish on the same day as well as landing a huge 140 cm barracuda without any wire trace later on in the week. 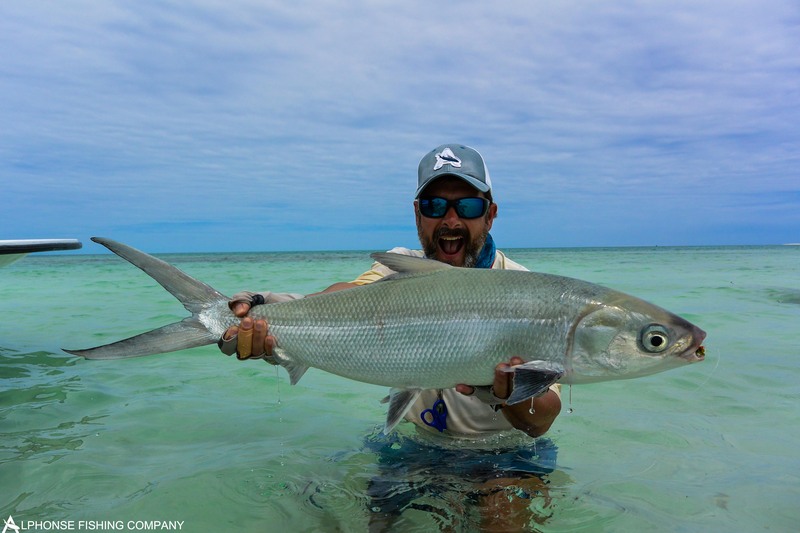 Marks fish of the week was a lovely 25 lbs milkfish caught on the white sand flats, which requires a lot of patience, perseverance and precision casting. 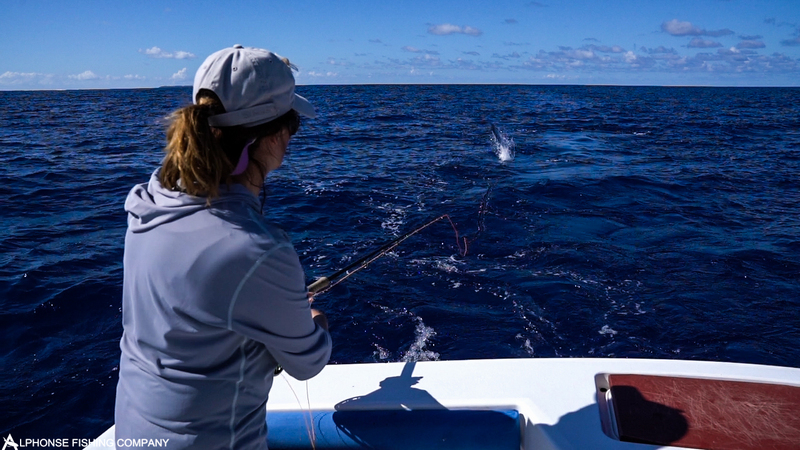 Chantal Chone went out for a half-day bluewater session and managed to land a sailfish which she followed up by self-guiding a bonefish to complete her ‘Bills & Bones Slam’. 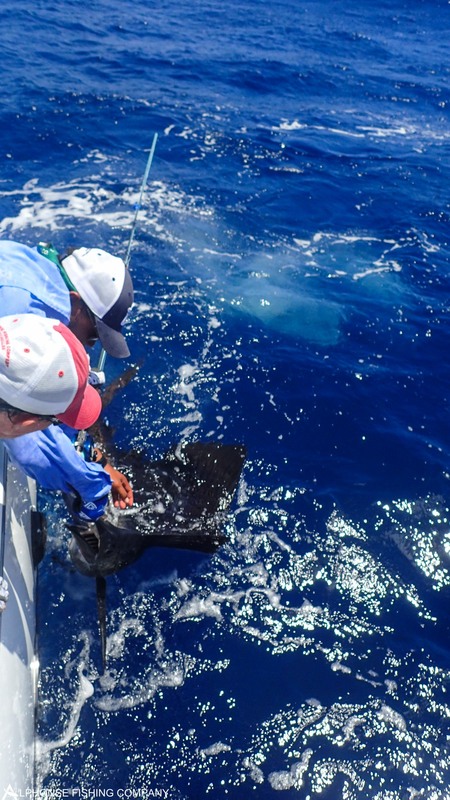 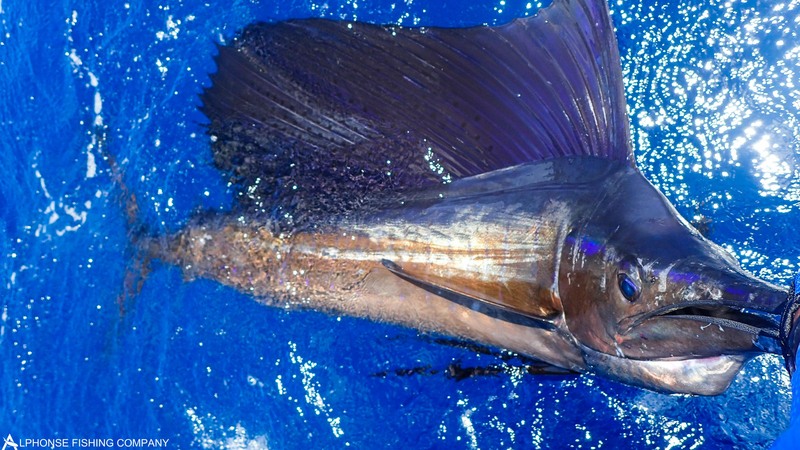 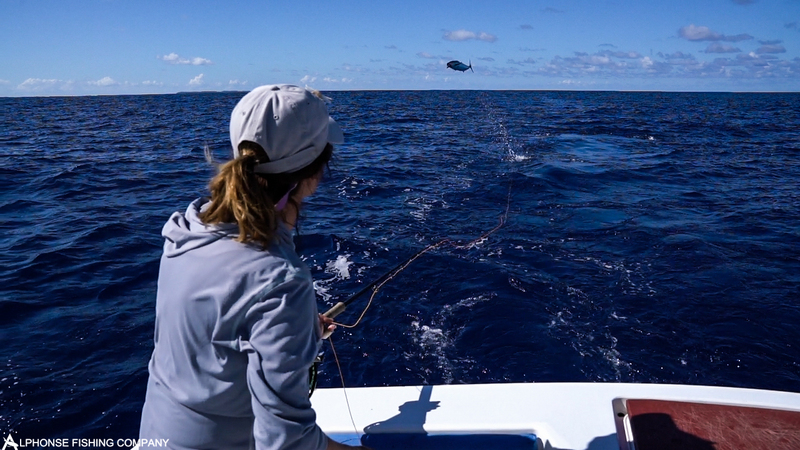 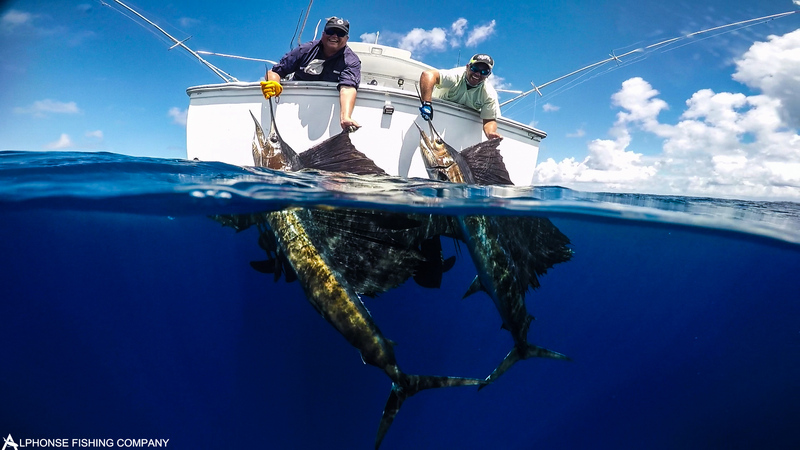 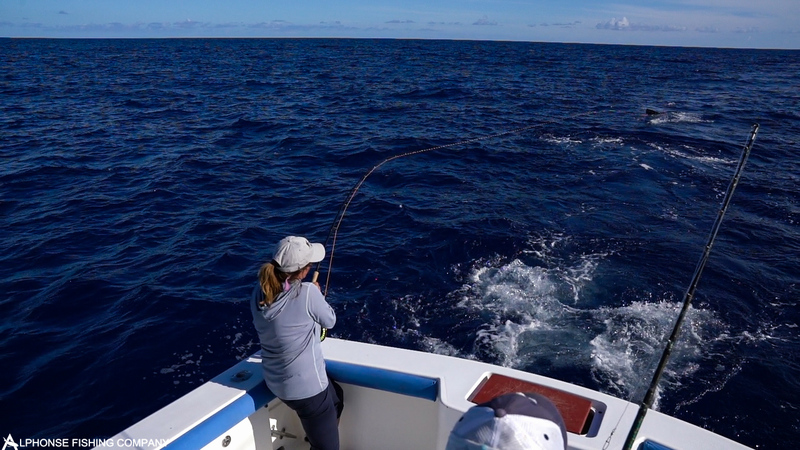 It seemed as if the ladies had the sailfish touch this week as the only other sailfish caught was landed by Maria Heiner. 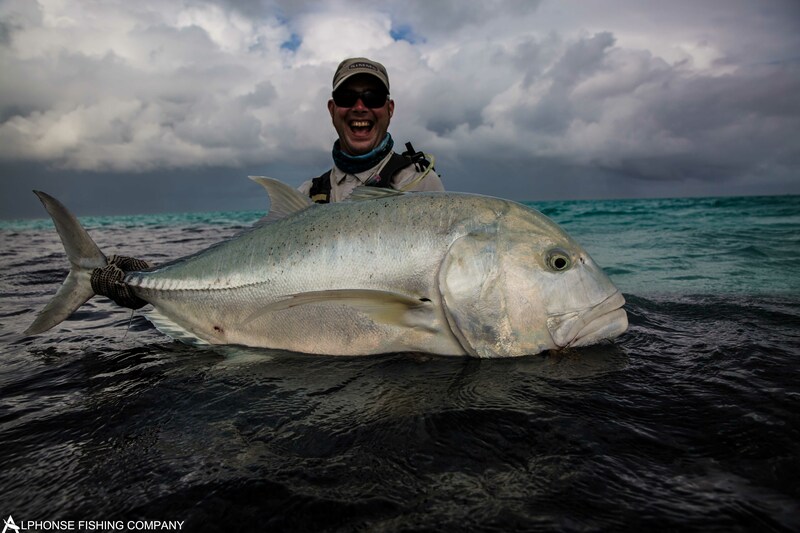 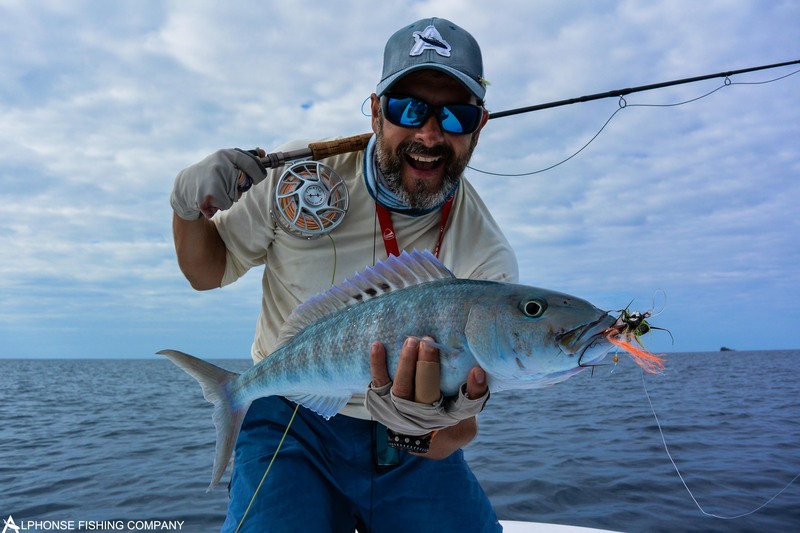 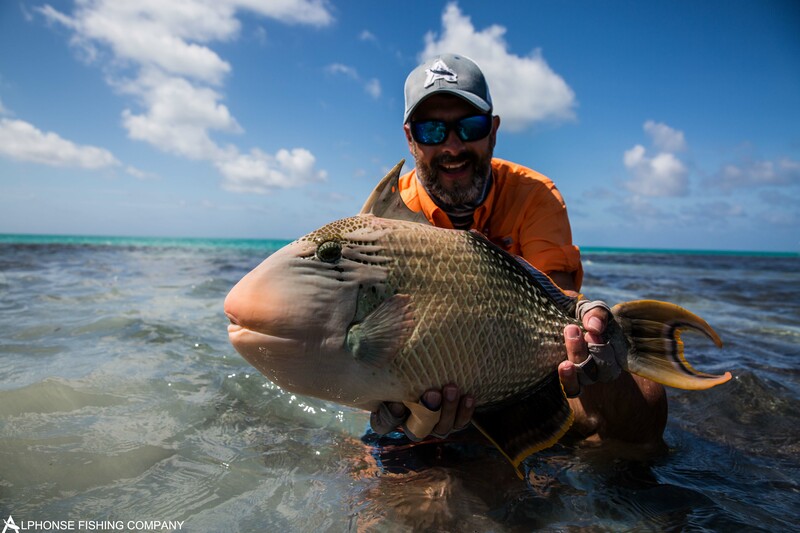 David Kreuzberg was our only ‘Flats Slammer’ of the week with a bonefish, a nice yellowmargin triggerfish and a whopping 110cm GT in one day. 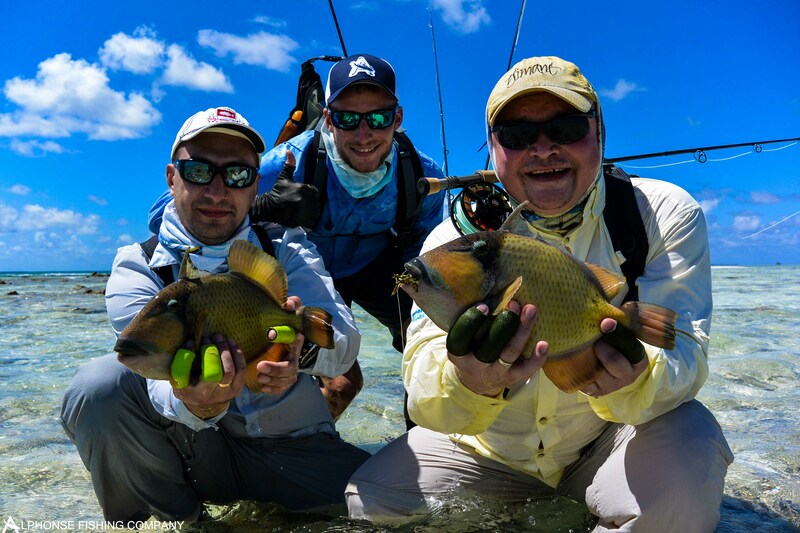 Also to join in on the triggerfish action were Egor Petrov and Vadim Danshov who accomplished an amazing feat by catching five moustache triggerfish between them on the first morning as well as doubling up on two fish. 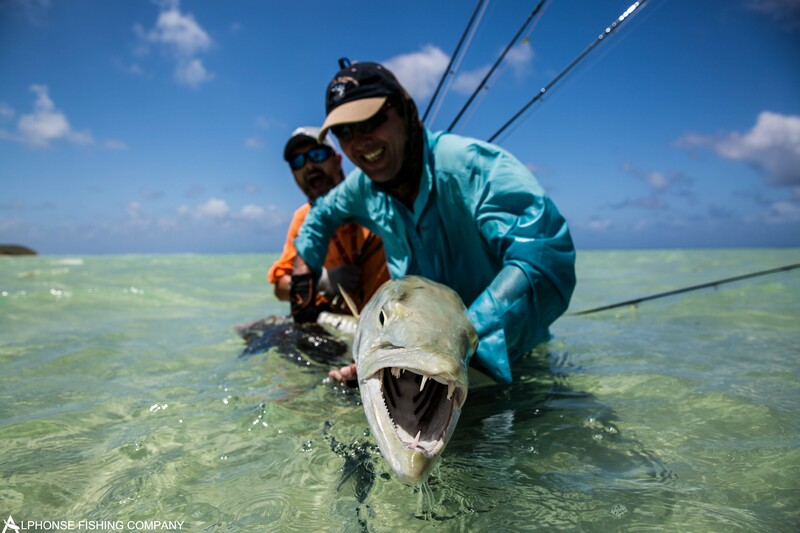 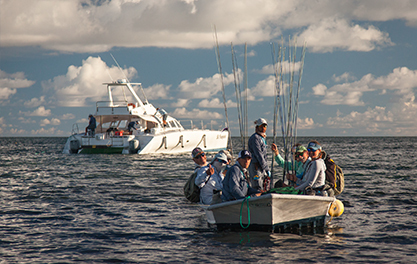 Betsy Shuman and Richard Porter also entered the 20+ bonefish club during their stay on Alphonse. 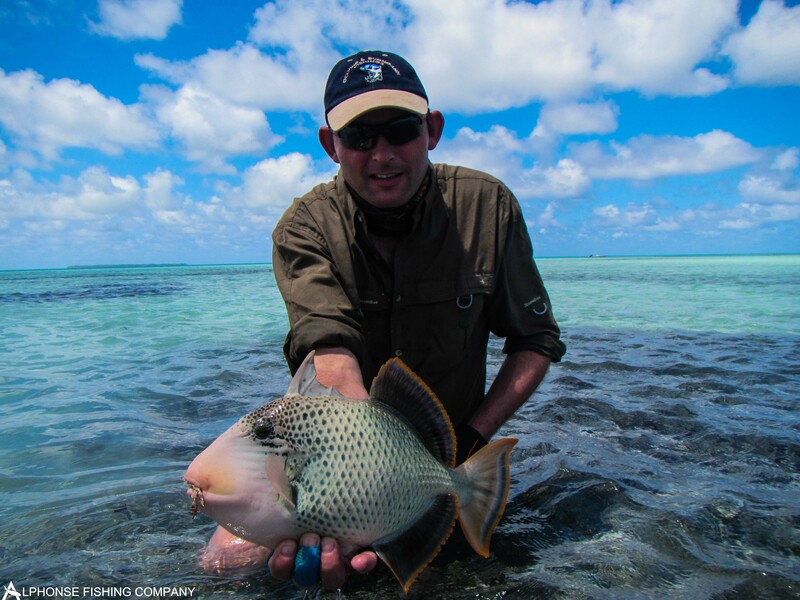 Richard added a nice moustache triggerfish to his tally on the second day. 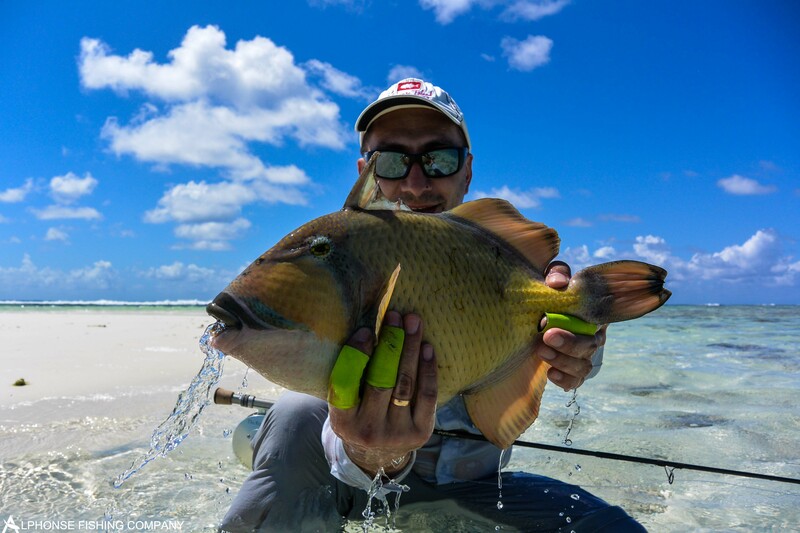 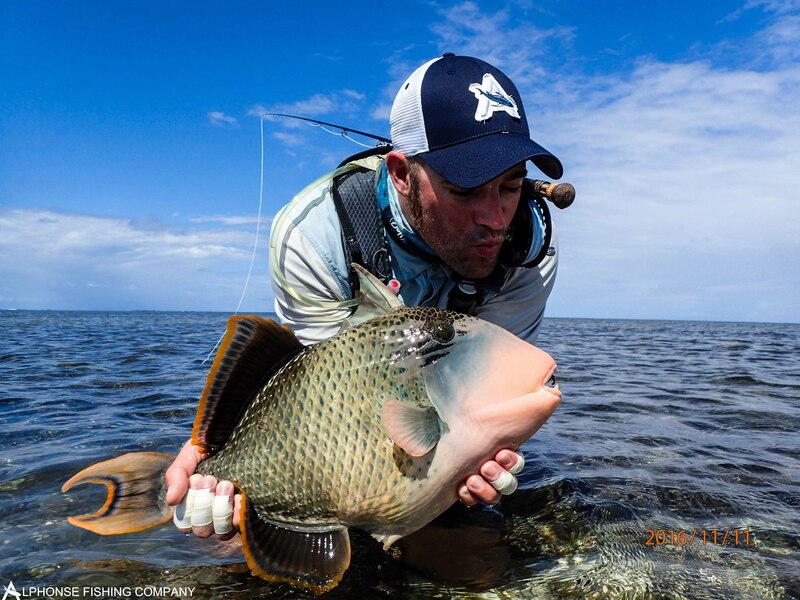 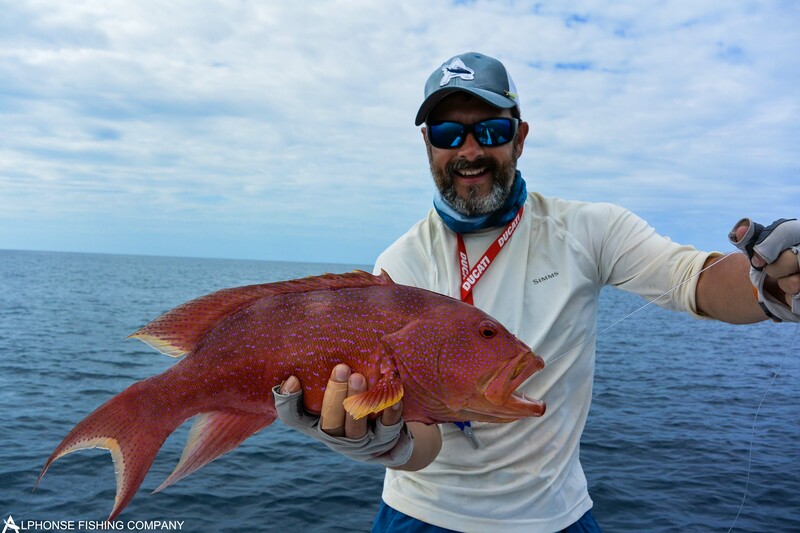 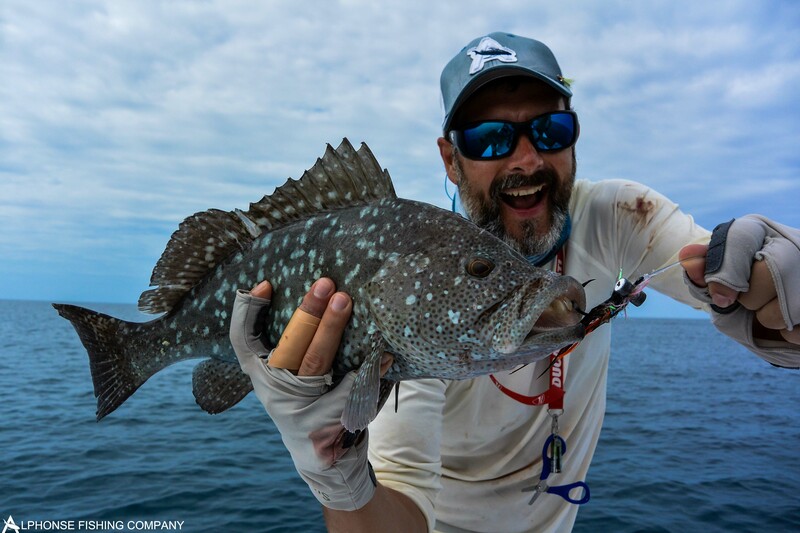 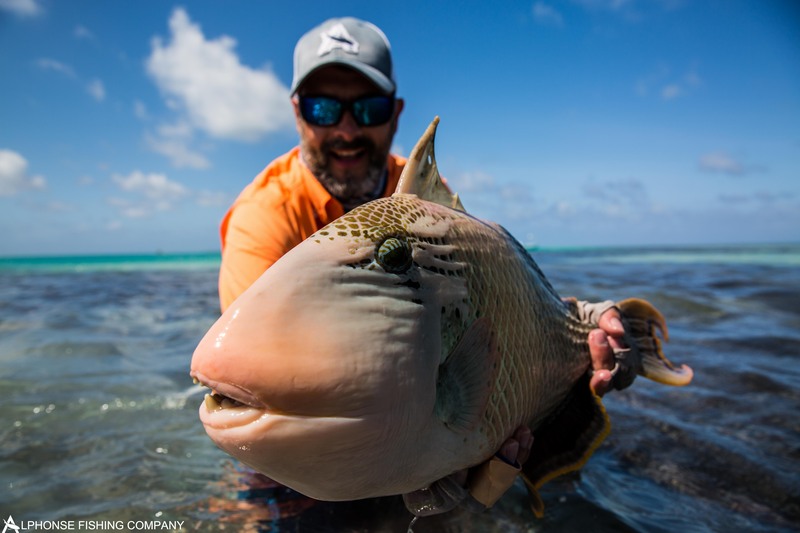 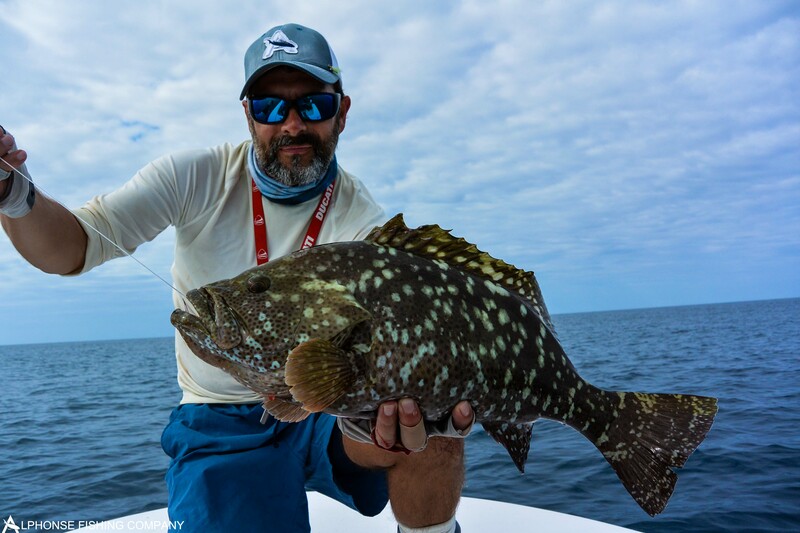 And finally to boost the triggerfish numbers Peter Solovyev managed to land a yellowmargin as well as a Moustache triggerfish during the final days of the week to complete the rally for the week at seven mustache triggers and five yellow margin triggers. 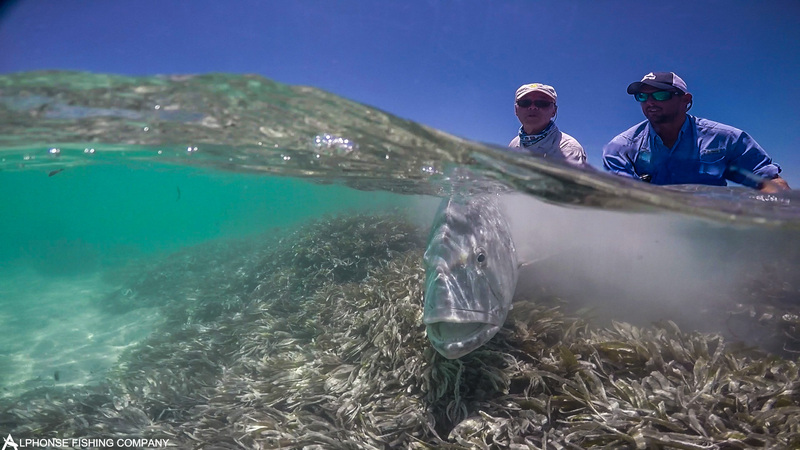 See last week’s images in the below.